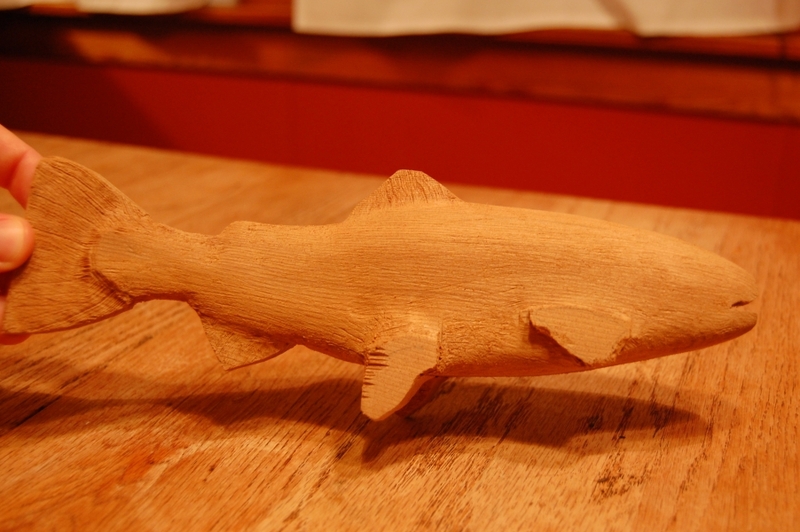 We have an annual auction for charity where I live and I was asked to do a carving of a trout. Here it is about half complete. This post was moved from Make Stuff With Your Kid. This entry was posted on February 28, 2010 at 8:04 pm and is filed under Carving. You can follow any responses to this entry through the RSS 2.0 feed. You can leave a response, or trackback from your own site.